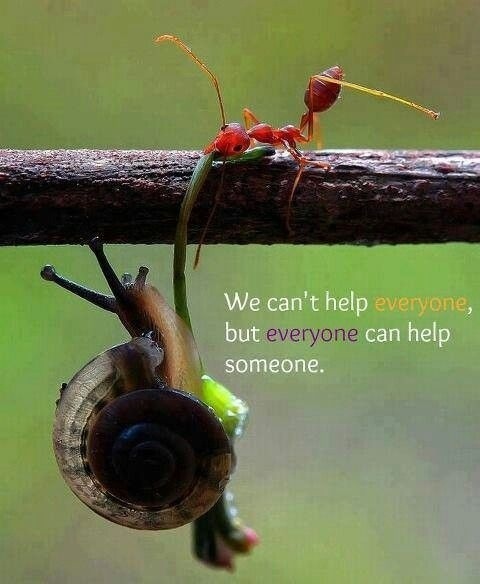 Love the pic, the most unusual combination… an ant helping a snail… now who knew? But then again, who knows right? you never know how that one smile or one good word of yours could brighten someone else’s day… or how a simple act can have a big impact on some one else’s life.